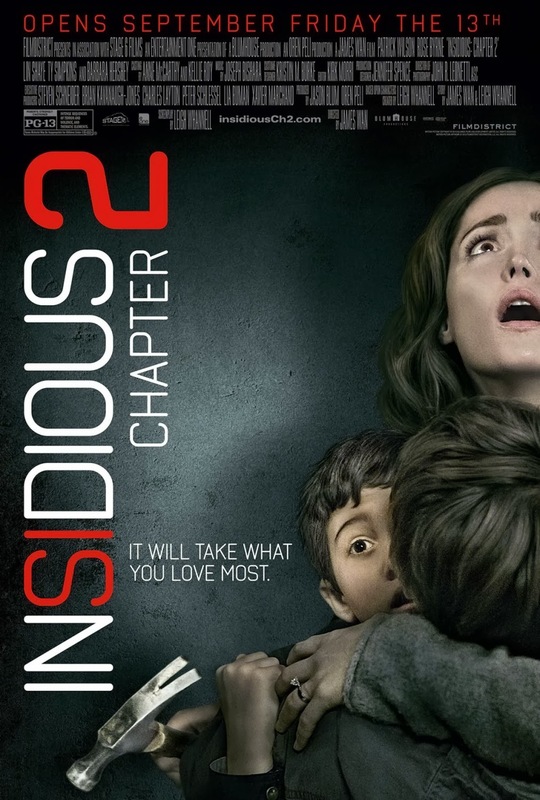 #GscHorrorFest-- Rigor Mortis,Second Sight and Insidious 2. On the 26th of October ,I got to attend the #GSCHorrorFest which was organized by GSC,ChurpChurp and Nuffnang at GSC One Utama.It started from 6pm and ended around 2am.The boyfriend was my +1.He brought a backpack..not his usual look but because he wanted to fit in his iPad,Macbook,my blanket and lots of other stuffs. We arrived at One Utama around 6pm,quickly registered and got a goodie bag each.The contents of the goodie bag can be seen below.Sticky candy,devil horns that lights up,voucher for popcorn& drink and a small doll. After registration there was a light spread of food--cold cuts,cheese&crackers,vege dip,pudding,noodles.There was also a booth for temporary tattoos.Razin took a bite of the food.I took the mango pudding. Because the movie will be starting at 7.30pm and we had more than an hour to kill,we went to Fish&Co for a light dinner.Had the dishes below.We love Fish&Co! Got my cat mask on! After the first movie,we went for dessert.Shared a chocolate waffle and also iced hazelnut latte at..Waffle House..I think?Had to have some caffeine because I was a bit sleepy.Here's my personal review on all three horror movies that we watched that night. 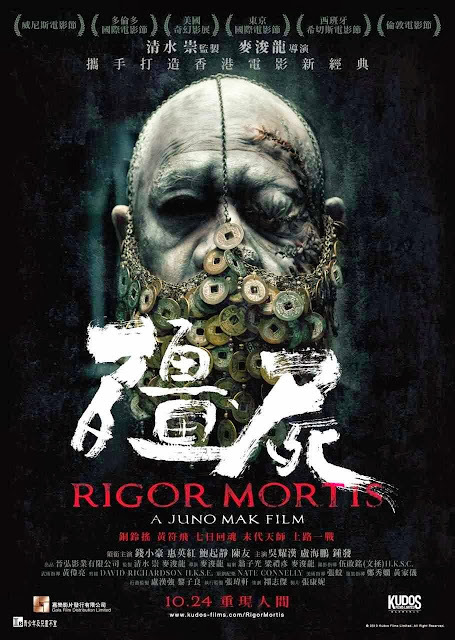 What is the meaning of Rigor Mortis? ?I only know that Mortis means death in Latin.Here's what Wiki says about it.So how was the movie? ?There was a few parts that scared me but it doesn't distract from the flawed storyline.But I like the starting of the movie as I thought the grey concrete look was beautiful. I'd give this movie 2.5/5. No offense to the Thailand movie industry but this movie was bad.It's like one of Malaysia's typical Malay tv dramas but made into a movie.Bad acting(watch the Jum character and you'll know what I mean),in one scene you can see the green screen,a guy making love to a sofa(you have to watch it to believe it).I read online that the director wanted to inject humor into a horror movie..which I guess he managed to do so because it wasn't terrifying at all. The hero in the movie who's a lawyer named Jate who has the ability to see the bad karma of others & the ghosts that surrounds them.Oh yeah the name of the female characters in the movie is funny--Jum(which is "go" in Malay language),Gift or Khaew(pronounce as Cow haha).